In today’s Kelsey-Merritt-is-living-the-life news, the Victoria’s Secret model is now hangout buddies with Zac Efron. 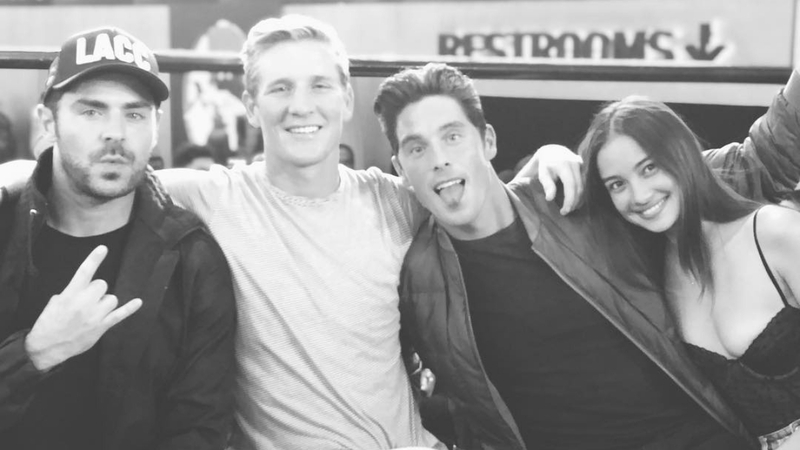 Kelsey’s boyfriend, swimmer Conor Dwyer, and the actor are good friends, and they were all in Mexico to celebrate Conor and his twin Spencer’s 30th birthday. Kelsey posted videos of Zac teasing Conor—who are both platinum blonde now!—with a crab they found inside the place they were staying in. Not to worry, they let the sweet little thing go and put it back where it belonged. Saying goodbye to the crab, Zac blew a kiss to the camera—we have no idea how Kelsey kept her cool! This isn’t the first time that Kelsey and Zac hung out; they celebrated the new year with Conor and a bunch of friends and family in Las Vegas earlier this month.